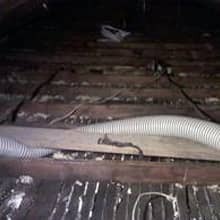 Provides ventilation so the attic can breath. 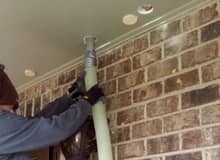 Eliminating moisture that can otherwise cause mold to grow, and wood to rot. 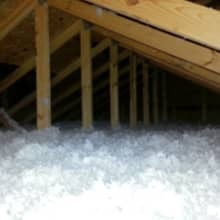 Re-insulating your attic will improve a homes thermal performance, while saving up to 30% annually in energy bills. 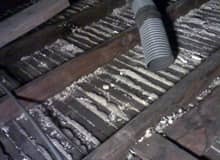 leaving water, smoke/fire, or contaminated insulation in your home can cause potential health problems as contaminated air particles go through your home. 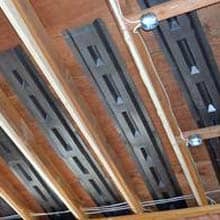 ventilation allows any moisture collected under your roof to escape. 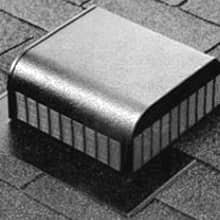 Helping your home to regulate temperature and giving your roof a longer lifespan. 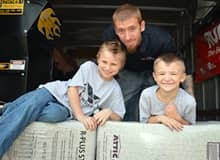 Addict Insulation helps property owners throughout St. Louis and St. Charles Missouri county to save money and improve the energy efficiencies of their properties. 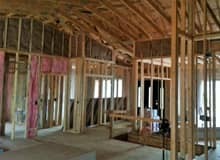 Whether your building a new home, addition, building, modernizing, remodeling an older home or moving into a new house, Addict Insulation can provide the right insulation solution for your project. Our commitment to quality work done within budget and completed on schedule is sure to exceed your expectations. 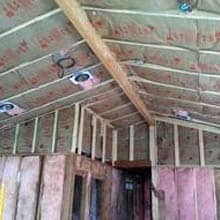 Many of our clients have recommended Addict Insulation to their family, friends and co-workers as well as provided references that are available for viewing upon request. 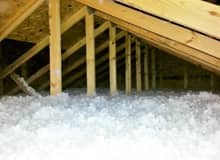 We install fiberglass, cellulose, thermal fiber, or spray foam insulation in applications from a small attic, to a huge condo complex or commercial buildings. Adding insulation is one of the most important steps you can take to improve the energy performance of your home. Addict Insulation reinsulated my home just before Thanksgiving. The installer, Ed, was very friendly and was able to answer all of my questions - and I usually have many. 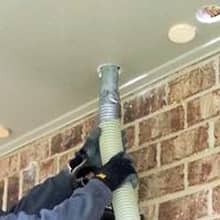 I have already recommended them to my neighbor, and would continue to recommend them to anyone with insulation needs!!! !